We now have a cool new Media Kit! It's listed on our Advertise page. 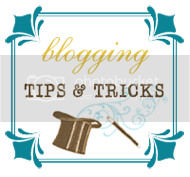 You can now find our awesome tricks and tips at the click of a button. Always located in our sidebar! We're also very proud to debut our Blog Glossary. This will be a work in progress...but it's kind of fun to read what we've got so far! 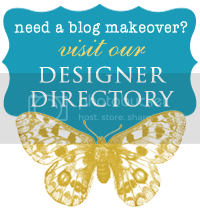 Check out our quick link button to our Designer Directory. Great blog designers will be found at the click of a button! And you can still find our extensive list of Linky parties and Giveaways in our navbar. Don't forget to add yours today! If you haven't already checked out our Blog Club, we'd love to help you create new blog friends and networks! everything looks amazing! Love all your new buttons! I'm very excited about this part of blogging! Everyone seems so nice and just what I need to help get me going! This is a great idea and you are so wonderful to help all of us!